With more than 30 years in the beverage, hospitality, and information systems business, I have devoted my life to mastering the art of practically everything. I've been a business owner, a writer, an actor, a software developer, an antique dealer, a world-traveler, a husband, and, my greatest accomplishment, father to the sweetest little girl you'll ever meet! I've survived cancer, the break-up of The Beatles, and the 1980's. I've been truly blessed with a strange and exotic life. Hopefully I will inspire you to step out of the path of ordinary and follow your dreams. The Only Bar Guide That You Will Ever Need! Includes 10,000 NEW and CLASSIC Recipes for Cocktails, Shooters, Martinis, Frozen and Hot Drinks. Written and compiled by Dennis A. Wildberger, a master bartender with more years in the restaurant and nightclub business than he can remember. In addition to this remarkable collection of recipes, sections include maintaining bar equipment, proper glassware, basic bar ingredients, "Building the Perfect Cocktail", and so much more. 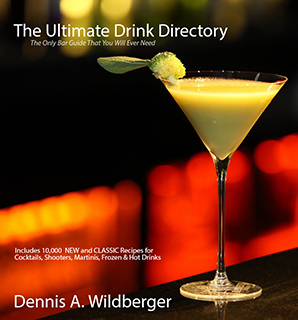 "The Ultimate Drink Directory" will replace every other bartending guide currently on your bookshelf! Adults Only - You've Been Warned! Over 600 cocktail, shooter, frozen, hot drink & martini recipes to make your guests blush. Plus a few dirty jokes to tell while you are f-ing up the making of these drinks. 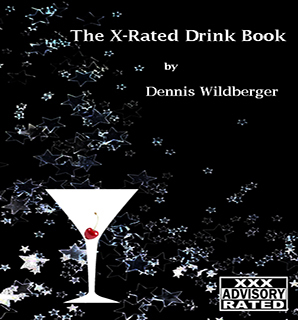 Written and compiled by Dennis A. Wildberger, a master bartender with more years in the restaurant and nightclub business than he can remember. Mixing drinks isn't that hard. You buy the ingredients, follow the directions, pour the right measurements, and you're done. At the end of this book are some simple bartending tips and a few pictures. If you are a moron, then maybe you should let someone else be the bartender. 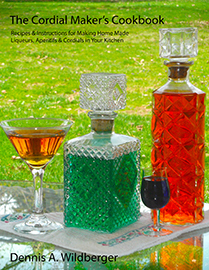 Recipes & Instructions for Making Home Made Liqueurs, Aperitifs & Cordials in Your Kitchen. Whether they are called liqueurs, aperitifs, cordials, or ratafias, these delicious concoctions have been around for centuries. Using only two basic ingredients, fresh fruit (or spices) and a neutral spirit, like vodka or brandy, and a simple process called "steeping" or "infusing", the sky's the limit as to what can be created. This book is a step-by-step guide to the best practices and principles for making delicious cordials and liqueurs right in your own kitchen. Each recipe has been personally tested by the author. Whether for holidays gifts or your personal enjoyment, making cordials is fun and easy! In addition to this remarkable collection of recipes, sections include maintaining bar equipment, proper glassware, basic bar ingredients, "Building the Perfect Frozen Drink", and so much more. 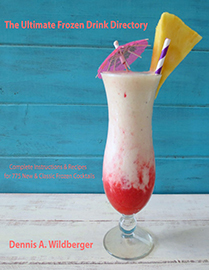 "The Ultimate Frozen Drink Directory" will be your one-stop bartending guide when searching for that PERFECT tropical concoction! Shooters are those wild little party drinks, mixed up in crazily delicious ways, and served with a dose of "I don't care". 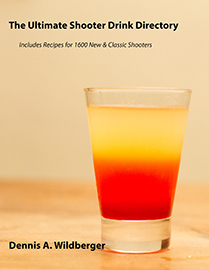 For the first time, "The Ultimate Shooter Drink Directory" compiles 1600 favorite and classic shooter recipes in one volume. Do you need "Brain Damage"? How about a "Brain Fart"? Maybe a "Brain Teaser" will do. You can find the recipes for all of these and hundreds more in "The Ultimate Shooter Drink Directory". 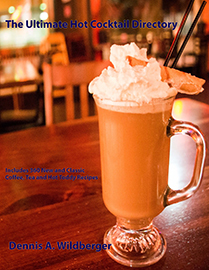 There is nothing in this world like a warm, comforting adult beverage to chase away the chills on a cold winter night. For the first time, Dennis A. Wildberger has compiled 360 of the most loved and cherished hot cocktail recipes together in one amazing book! Certainly you will find your old (or new!) favorite among these pages. 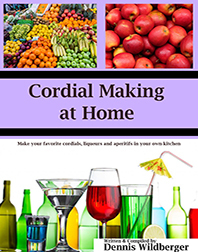 With the recipes and instructions included in this book, you can make your favorite cordials, liqueurs and aperitifs in you own kitchen for a fraction of the cost of store bought. Learn to make Amaretto, Irish Cream, Coffee Liqueur, Limoncello, Peach Brandy, and just about any other fruit liqueur you can imagine. It's easy, it's fun, and it's rewarding. 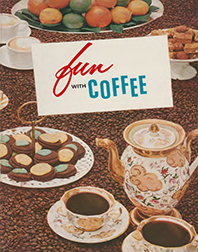 Originally published in 1956, "Fun with Coffee" takes you through a joyous romp of delicious coffee concoctions, sweet hot beverages, and coffee-infused desserts that will keep your caffeine level on max all day long! This CLASSIC edition of Baltimore's Best Recipes was first published in 1979 and is re-published to evoke the memories of yesteryear! 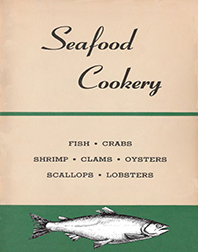 This volume includes the greatest recipes from historic restaurants such as the Crab Cake & Sauce from Johnny Unitas' Golden Arm, Fettuccine Alfredo from Denitti's, Oysters Buccaneer from Peerce's Plantation, Saltimbocca Alla Romano from Velleggia's, and many other mouth-watering dishes from Baltimore landmarks. Poultry Beef, Seafood and Dessert recipes are included. 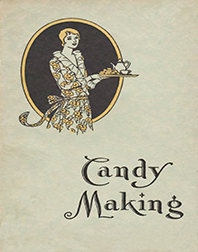 Last published in 1929, this illustrated step-by-step candy cook book will have you making home made delicious sweets they way they used to be made! Featuring lost recipes using all natural ingredients including Butter Taffy, Marshmallows Coated with Butter-Scotch, Peanut Brittle, Caramels, Cream Candies, Fudge, Divinity, Bonbons, Rainbow Delight and so many more. There are moments when words just aren't necessary and a caring hand is all the heart desires. This can be a team of support persons to fetch the week's groceries or cook meals, a willing individual to coordinate doctor appointments, or maybe just a hand-written note to say hello. The unexpected journey of cancer often brings exhausting emotional challenges and financial burdens. H.O.P.E. helps ease this journey. 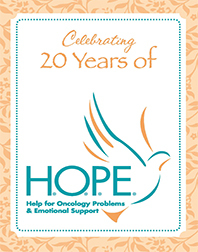 A large portion from the proceeds of this cookbook will go right back to H.O.P.E to provide emotional, physical and spiritual support to those in our community who are affected by cancer. 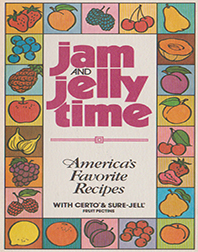 This CLASSIC book of favorite recipes for jams, jellies, conserves, marmalades, preserves, butters, chutneys and relishes includes specific directions and step-by-step instructions to make you an EXPERT. This book includes solutions to common jam and jelly making problems, No-Cook recipes, ideas for gift giving, and many more answers from the professionals. 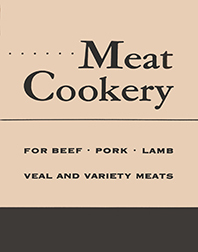 Last published in 1950, "Meat Cookery" takes you step-by-step in selecting, storing, preparing and cooking meat. With so many classic recipes, some long forgotten, this book will be your new "old" go-to for supper parties or every night dinner. Charts that highlight specific and standard meat cuts are included. Become a Meat Expert! Seafood Cookery includes the correct ways to choose, clean, prepare and cook fish, crabs, shrimp, clams oysters, scallops and lobsters. Favorite recipes such as chowders, newburgs, casseroles, imperials, soups, salads and many more are detailed. 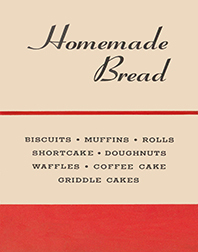 Last published in 1959, this edition of Homemade Bread includes made from scratch recipes and step-by-step instructions for the best homemade yeast and quick breads, muffins, rolls, biscuits, popovers, griddle cakes, waffles that you will ever taste! Includes a section with solutions for common baking problems. © Dennis A. Wildberger - Designed by Me!